Yesterday was a tough one, no doubt about it. Not that many of us didn’t suspect it was coming, given how much ammunition the Cartel has used to first, prevent Precious Metals from breaching their 200-week moving averages; and subsequently, their 5½ year downtrend lines. That said, despite the past two weeks’ unfathomably blatant paper attacks – such as, last week’s back-to-back $3 billion COMEX gold future “sales” gold is still well above its 200-week moving average of $1,246/by a comfortable margin. True, it was (temporarily) repelled from its 5½ year downtrend line at roughly $1,285/oz. – but at $1,264 as I write, it’s just a single 1.5% jump away. 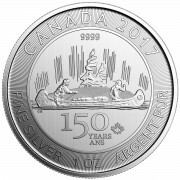 As for silver, its 200 WMA of roughly $18.15/oz needs more work to be retaken; but given the myriad potential catalysts out there – much less, its violently bullish supply/demand balance (nearly 5% of registered COMEX silver inventory was withdrawn yesterday) – the 4% price increase required to re-take this key technical level could occur in a day. Given the Cartel’s all-time high silver short position, we’ll see how long it takes for prices to stabilize. However, given an historically long list of potentially violent upside catalysts – from the drumbeats of war; to “BrExit times 100” elections; unforeseen “GrExits”, ItaLeaves, and CataloniExits; and generally collapsing global economic activity, to name a few; their historic short position makes them as vulnerable to catastrophic loss as at any time since the Spring of 2011. And at some point, if the Cartel doesn’t calm its blatantly obvious naked shorting, they are going to incite the type of physical run that nearly destroyed them in 2008 and 2011; and to a lesser extent, 2013 and 2015. 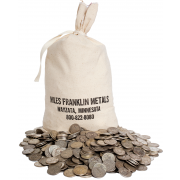 As trust me, Precious Metal “price management” has a steep cost – which throughout history, has always been “paid” by the criminals, to the patient investors calling it out. How do I know yesterday was tough, for a great deal of the PM community? 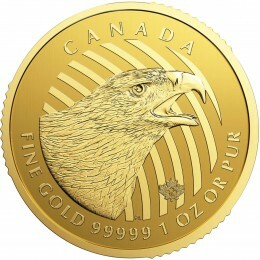 Because I got a half dozen emails from frustrated readers – not due to the less than 1% decline in gold prices; or even the 2% decline in silver; but instead, the annihilation of mining shares catalyzed by “evil personified” itself, Barrick Gold – whose stock plunged 10% following an earnings report that, while bad, was no worse than this morning’s Twitter earnings – which conversely, caused TWTR’s stock price to rise 10%. This, following last week’s GDXJ/JNUG rebalancing debacle, which caused severe underperformance for numerous miners, completely dislocated from underlying mining sector price movement. Yes, this is what happens in the latter stages of an historic, government-orchestrated financial bubble; and conversely, the damage that can be done in “paper PM investments” – which unlike physical gold and silver, can be naked shorted into oblivion. Moreover, as discussed in great detail yesterday, mining shares can also be damaged – and in many cases, destroyed – by countless factors aside other than naked shorting, such as debt; equity dilution; operational issues; permitting, jurisdictional, and taxation changes; and oh yeah, the plunging production outlook caused by years of under investment, directly resulting from Cartel-catalyzed capital strangulation. 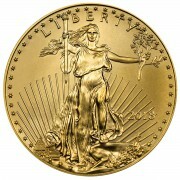 In other words, if you don’t own the real thing, you are not truly “exposed” to gold and silver. And the best part of physical ownership, is that the very things the Cartel does to destroy the mining industry, are violently positive for the long-term gold and silver supply/demand outlook. Yes, I’m finally prepared to label this the biggest bubble of all time – which previously, I’ve shied away from, given that its creation and maintenance have been entirely due to government manipulation; as opposed to typical bubbles – like 1929, 1987, 2000, and 2008 – which were blown up by public participation; and generally speaking, the “mania of crowds.” This time, the public has been entirely out of the markets for years, after having been decimated by the 2000 and 2008 crashes, as well as the ensuing, ongoing, rapidly accelerating economic decline. That is, until very recently, when they’ve plowed whatever’s left of their historically low savings into historically leveraged brokerage accounts; and lately, historically overpriced houses, as evidenced by the post-2008 “echo bubble” officially exceeded the 2006-07 top. Heck, (historically leveraged) commercial real estate prices are 25% above the peak of the biggest real estate bubble of all-time, despite a retail Armageddon that is annihilating real estate demand! I mean, Schwab is opening brokerage accounts at a rate not seen since 1999; stock market shorts hit a 10-year low; and government-owned Fannie Mae just announced a new mortgage underwriting scheme, enabling unemployed millennial’s with little or no savings to avoid listing student loans and credit card debt on new applications. Putting an exclamation point on the madness, amidst the worst global economic activity in generations; the largest debt edifice in history – supported by historically low interest rates, that cannot rise without destroying the world; and dotcom-like equity valuations in the 95th percentile of their historic ranges; PPT-supported stock markets’ cumulative market cap exceeded $50 trillion for the first time yesterday. This, compared to available-for-sale COMEX gold and silver inventories of roughly $1 billion, and $500 million, respectively. And if equities are trading at “dotcom-like” valuations, how would one characterize bond markets featuring the lowest interest rates of all time, amidst the highest ever cost of living and generational, global economic weakness – particularly in sectors with the most debt, like energy? Put it this way – people are so hard-pressed for cash, the MBA refinancing index rocketed higher last week, simply because market-based interest rates fell 20 basis points or so; in the process, increasing cumulative debt further, and impoverishing the nation at an unprecedented rate. And then there’s the lunacy surrounding Trump’s “biggest ever” tax cut proposal, to be released sometime today. I mean, the Administration spent the past two months saying there could be no tax cut without a repeal and replace of Obamacare – which of course, miserably failed, even if a replacement bill is being drawn up to try and fool America into believing the impossible is possible. To wit, said “replacement bill,” for all intents and purposes, is not only identical to the original, failed bill, but doesn’t in the slightest way alter the main tenets of Obamacare. In other words, even if the semantic changes proposed are sufficient to fool Americans into thinking something incremental is being enacted, it won’t have the slightest impact on the cost, availability, or quality of healthcare. That said, the point is that there is no “repeal and replace” bill on the table, no matter how much propaganda is spewed to suggest this much. And even if there was, even JP Morgan espoused that this massive, essentially unfunded tax bill has not a chance in hell of getting through Congress. Not to mention, as the “debt ceiling” will likely be reached by the end of next month; let alone, when the government may be shut down as early as Saturday if a temporary spending bill is not signed in the next two days. And oh yeah, if there’s no funding for the “biggest ever” tax cut, then where’s the money going to come from to pay for the “yuugge” fiscal stimulus package? Other than, of course the QE4 launch that must eventually arrive. But surely, since the Fed has been “raising rates” due to the “strong economy,” we don’t need fiscal stimulus, right? For that matter, why are the ECB and BOJ monetizing $200 billion per month of stocks and bonds, if their respective economies are as peachy as their Central bankers claim? And speaking of Central bankers, I’d be remiss if I didn’t call your attention to the fact that apparently, Trump’s chief Economic Advisor, Gary Cohn, is the leading candidate to replace Janet Yellen next year. If so, America’s three top financial positions, Treasury Secretary, Deputy Treasury Secretary, and Federal Reserve Chairman, will be held by former Goldman Sachs partners. Not to mention, the White House Chief Strategist; the White House “Senior Counselor for Economic Activities”; and, if approved, the next SEC Chairman. From the standpoint of “draining the swamp,” I’ll simply comment by stating Nuff’ Said! Anyhow, my main point today is that, whether speaking of political, economic, or monetary matters, NEVER has America – or the world at large – been amidst an environment of such “historic unsustainability.” I mean, is it really possible to have thundering war drums without war? Epic bubbles without bubble bursts? Debt ceilings coupled with historic, deficit-busting stimulus packages and tax cuts? Plunging market-based interest rates, and simultaneous economic collapse, with surging stock markets and Fed rate hikes (much less, when the President demands a “weak dollar” and “low interest rate policy”? Or in the case of Precious Metals, historically low prices coupled with historically tight physical markets? Sure, “anything’s possible” – and in today’s age of historically rigged markets, the limits of “possibility” have been stretched beyond typical economic and financial market “physics.” However, NOTHING is immune from reality; and not only is today’s “reality gap” wider than at any time in recorded history, but it is unquestionably more vulnerable to oasis-shattering catalysts than at any time in our lifetimes. In other words, the time to PROTECT yourself from what’s coming, particularly given how dirt-cheap history’s best financial insurance policy has been suppressed to, is NOW. I have been reading your articles daily for about three years. I agree with everything you have said. Yet…the day of reckoning never seems to come. I’m 74. I have my gold and silver investments. But can they keep this thing going until it’s too late for me? Seriously, what is the latest month and year that the Charade ends! Tough question, I know. Really, how long can this last? I am a few years older than John Francis and am in the exact same boat! While the technocrats assure us that the fundamental indicators are rapidly disintegrating life drags on and the manipulation continues without interruption. I am beginning to think that this can go on quite a while longer. The only situation that gives me hope is J.P. Morgan’s HUGE long position. They certainly are ready for financial collapse! I read and listen to you’re comments every day but don’t comment a lot. But thank you for your tireless work.